Royal Cyber approach on making uncomplicated & effortless test automation has helped our internal teams as well as our clients in reaping tangible & invaluable benefits in terms of Time saved, reduced effort & overall helped setup a high quality QA system that’s unparalleled in the industry. At Royal Cyber we aim to simplify the QA process for 100% transparency & there by achieve an efficient and reliable set of processes that help QA teams perform at very high efficiency and ultimately deliver high quality products. Re-usability and Maintenance of test script. Deeper level Verification and Validation. 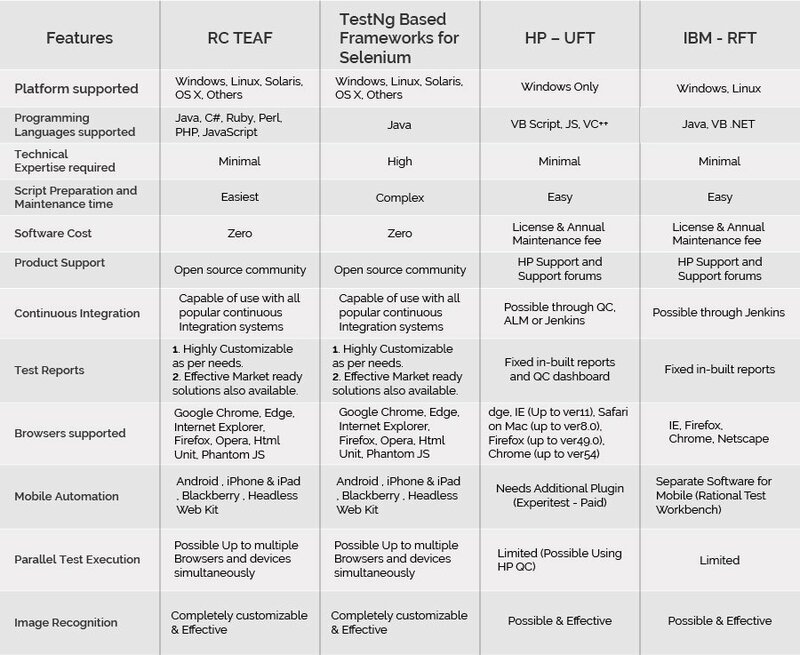 Parallel – Multi Platform support. Allows BU to grasp the test scenarios as the scripts are written in plain English language. Intensive data driven testing possible by easy access of data tables from within script and from separate files. Generates cucumber & extent reports with detailed information on test execution with screenshot and can also be email able at the end of execution, which enables easy go/no go decision making. Responsive design layout testing and Image comparison is possible by describing Galen spec language. Reports the error, makes a screenshot and highlights the misbehaving element on it. Enables enterprises to build applications that are scalable and accessible across multiple platforms. Write tests against iOS and Android platforms using the same API, enabling code reuse between test suites. Free Open-Source test automation framework for mobile testing. Integrate with leading DevOps tools, CI/CD environments which automatically triggers the execution periodically, helps dev team ensure the application is working seamlessly. Automatic Bug creation for Failed test scenarios in JIRA. Integration with test management tool significantly reduces subsequent software maintenance and Supports robust software development which Speeds up the testing process. 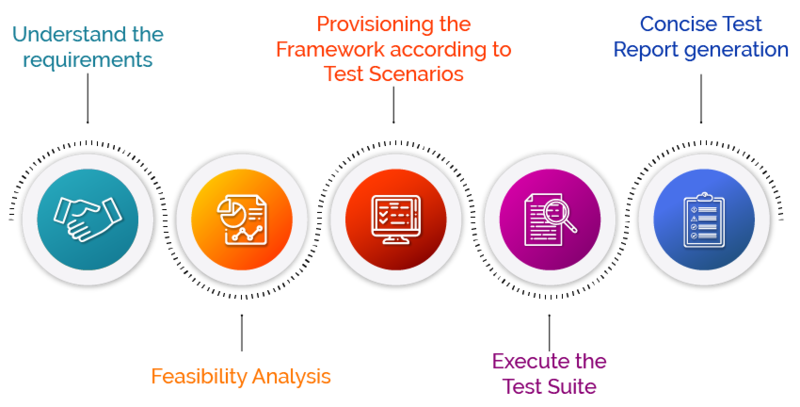 RC’s TEAF simplifies the technical aspect of test automation, so that every team member is an automation expert. Effective automation translates to high time saving and cost reduction thereby faster delivery of your products and enabling QA teams to focus on finding more bugs that ensure high quality overall.